1 What is in Fresh Cab rodent repellent? 2 Does Fresh Cab rodent repellent really work? 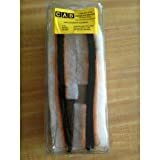 3 Does Fresh Cab rodent repellent work better on mice or rats? 4 Which are the best spots for placing Fresh Cab repellent? 5 Where can I buy Fresh Cab rodent repellent? 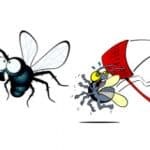 Fresh Cab rodent repellent reviews say different things about its efficiency, the duration of the effect it has on rodents, its way of repelling mice being different from dealing with rats, and its convenience in use. 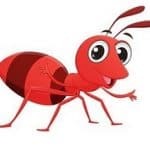 To make sense of all those contradictory statements, let’s learn the Fresh Cab rodent repellent ingredients and the best ways for them to work, as well as the effect it has on pests. Plus you will determine the quantity of the repellent you need to cover the area of your apartment or storage. I will also tell you where to buy Fresh Cab rodent repellent for the most affordable price and why its manufacturer is one of the best on the market today. Compared to other pest-control means, botanical rodent repellent Fresh Cab is absolutely safe to use in any corner of your home. The effect it has on mice is non-violent and doesn’t get overactive repelling. No more blood and mice’s screams at your home. As soon as they find Fresh Cab natural rodent repellent, they will pack their things and go. The effect is achieved through the strong smell that irritates rodents’ receptors. The herbal mix in the core of the repellent was made to affect particularly rodents, so don’t be afraid to use it if you have pets. Dogs, cats, and birds won’t suffer from it. If you have a pet rodent though, consult the veterinarian before using Fresh Cab. Fresh cab mouse rodent repellent is plant-based which means it’s a great way of dealing with pests in an eco-friendly and vegan way. The main ingredient of botanical Fresh Cab rodent repellent is balsam fir oil, which is known to have a significant impact on rodents’ nervous system. To you, fir smell may seem relaxing and calming, but for mice it means danger. It is also widely known that fir oil is a non-toxic material and is often used in aromatherapy and curing nasal diseases. If you read Fresh Cab mouse rodent repellent reviews, every one them will praise the repellent pleasant smell. Apart from balsam fir oil, there are several more essential oils in the mix. There’s a touch of lavender which has been used as a repellent since Middle Ages, some citrus notes from Orange and Lemon oils, a distinct note of Cedar and a touch of Spanish rosemary. All of those ingredients are safe for human receptors, but allergy may still occur. So it’s advised not to use rodent repellent Fresh Cab in the areas where you sleep and spend a lot of time. And stop using Fresh Cab immediately if the first allergy symptoms occur. The patented pouch guarantees the slow release of the oils. Although producers keep the whole combination of ingredients a secret, it is evident that the bags are filled with small grain balls made of corn cobs while the cloth texture is breathable. The Cab Fresh rodent repellent pouches are designed to last for no less than three months. 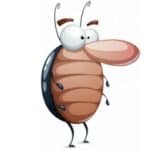 Every pouch has to be placed in the area where you frequently see pests or someplace where it’s a risk to let the rodents in: drain system, home depot ventilation systems or seldom visited storage corners. You don’t need to crawl under your cupboard or bathtub anymore, as the smell from the pouches covers the area of 8 to 125 square meters depending on the level of prevention you need or the scale of infestation you experience. Fresh Cab rodent repellent 4 pouch box lets you cover the area of 500 square meters. The mix of Fresh Cab botanical rodent repellent ingredients exhales a strong, distinct smell that reaches rodents’ receptors from the long distance. You don’t have to put the pouches in the areas where you sleep, as human presence scares the rodents off anyway. 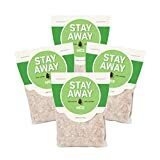 4 portions of Fresh Cab mouse and rodent repellent is enough for rodent infestation prevention in small storages, depots, and summer cottages. If you suspect an infestation, however, you might need a lot more of the repellent. In this case, I’d recommend you to buy Fresh Cab rodent repellent 8 pack or Fresh Cab rodent repellent 12 pack for economy reasons. Fresh Cab botanical rodent repellent is perfect for rodent infestation prevention. You only have to place the pouches in enclosed areas of your house, depot, or storage. 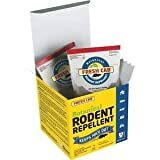 The non-infested areas require a minimal amount of repellent so that you can buy Fresh Cab rodent repellent in one pack and use it throughout the whole year. 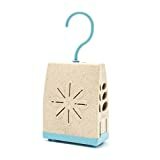 The mix of essential oils and plant fibers alongside with the special pouch design provides an even aroma exhalation for the time of repellent use, with the maximum effect during the first 30 days, and a little less efficient but still noticeable smell in the next 60 days. As for the infested areas, they require the strongest effect so I’d recommend to replace Fresh Cab pouches every 30 days. As I mentioned earlier, one pouch covers 125 square meters of uninflected area, but if your household or storage is already infested, the efficiency area reduces to no more than 8 square meters. So I’d recommend to put one pouch per room where you haven’t met with rodents yet, and up to ten pouches in the area you see them often. Placing the pouches on the floor is, in my experience, the simplest way for them to reach the mice or rats’ nests. The oily solution the pouches are imbued with can leave stains on some surfaces so if you have wooden floors, carpets or laminate flooring, it is highly recommended to put a plastic bag under each pouch. For the same reason, I’d advise you not to put the pouches into wardrobes or cupboards, as the oils may corrupt your clothes and food. The small areas like the salons of cars, trucks, and farm equipment, are easily covered with one pouch. EarthKind, the brand that makes botanically based repellents, is the only company that meets EPA standards efficacy of the USA with a non-toxic organic product. EarthKind Fresh Cab rodent repellent pouches are totally biodegradable and have a nice look designed by the brand’s creative team. If the look of the things you use in daily routine is critical to you, Fresh Cab mouse and rodent repellent is the right product for you. All the ingredients are grown on small American farms, and 20% of EarthKind workers are disabled persons, so if you choose to lead an environmentally and ethically conscious life, it will suit your principles. 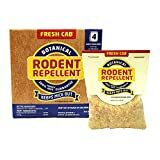 I often get emails on a subject ‘Fresh Cab rodent repellent where to buy?’. The great thing about this product is that you can buy Fresh Cab rodent repellent both in online and offline stores. 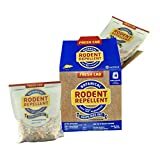 Fresh Cab rodent repellent Amazon price is the least expensive, plus they have special offers from time to time, so I prefer to buy the pouches online. Can’t tell you much about Fresh Cab rodent repellent eBay offers, as I prefer Amazon, but they are probably just as frequent. 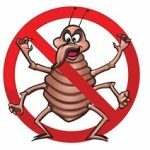 EarthKind also sells the repellent on their homepage, but they only have wholesale offers. and they usually have a lot of stocked goods, so I’d advise you to go there to buy several packs for your large storage. I don’t know anything about Fresh Cab rodent repellent UK retailers, but the online stores surely deliver there. 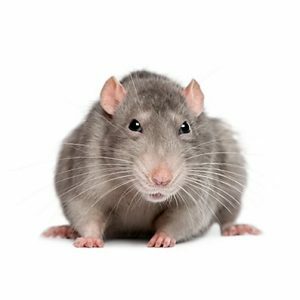 I’ve been frequently asked on Fresh Cab rodent repellent Malaysia and Philippines retailers, but I haven’t been able to find any hardware chain stores that sell it there. Amazon should help in this situation. 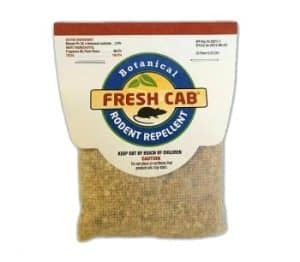 In some customer reviews, Fresh Cab rodent repellent is named the fake remedy for fighting pests not worth to spend your time on. In my case they’re wrong. However, the smell from the pouches highly depends on climate change, and may not work in too dry or, on the contrary, too humid areas. 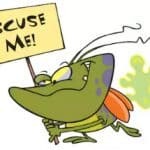 Besides, the infestation could be too severe to control with natural smelly products only. For any case like that, Earthkind offers a full money back guarantee. You can contact them at the phone: 1-800-583-2912. 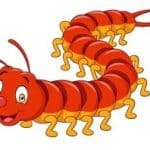 The consultants may also answer your questions on the reasons for the Fresh Cab rodent repellent product to be ineffective and the ways to solve the problems you experience. Money back guarantee is active for 100 days since your purchase. Fresh Cab rodent repellent Lowes’ consultants have also warned me that to have a 100% money back guarantee I must buy it from official retailers. Anyway, I hope that after my Fresh Cab rodent repellent review there won’t be any questions left. And that’s the main reason to buy a natural rodent repellent Fresh Cab. It may take a week for you to stop noticing mice presence, but it will most likely happen. 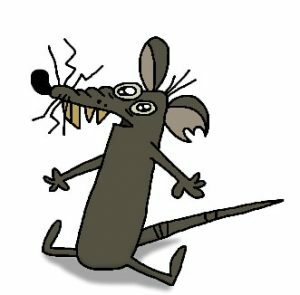 My Fresh Cab rodent repellent home depot experience went as smoothly as possible, and I’ve been trying to keep them away for months with the help of more violent means like traps and toxic sprays. And, in my opinion, it costs very little to keep large storages from the rodent problem. However, there have been cases when it didn’t help. Let’s take a look at some of them alongside with other questions in the Q&A section. What is in Fresh Cab rodent repellent? The base of the repellent is organic grain balls soaked in a patented mix of oils that works excellent for repelling rodents. Repelling is the crucial word for the description of EarthKind Fresh Cab botanical rodent repellent principle of work. It isn’t meant to kill rodents. It just makes them feel anxious and eager to find another place of staying. I’d recommend to try it as the first solutionin fighting rodent pests at your home or storage premises. It’s non-toxic, safe to use, and the smell is quite nice for the human nose. Plus if it doesn’t work, there’s a money back guarantee from the manufacturer. Does Fresh Cab rodent repellent really work? 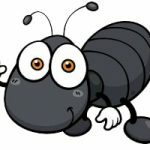 I get lots of emails from people fighting pests asking me ‘does Fresh Cab really work?’ or ‘why didn’t it work on my infestation?’ I always say that every particular pest problem case needs to be analyzed on the basis of several factors: the scale of infestation, pest species, infestation area, and climate conditions. 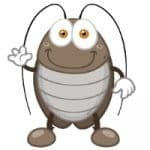 All those factors determine your decision on what pest control means to choose. If you have a severe infestation, the smell won’t affect rodents that much as they have lots of nests where they can escape it. Besides, the climate conditions could affect the smell diffusion, and you may need to use more pouches to make sure the smell covers the area you need. I’d advise you to go to one of the household supermarkets and talk to its personnel in the pest control department. Last time I checked, Fresh Cab rodent repellent Ace Hardware consultants were quite knowledgeable. Does Fresh Cab rodent repellent work better on mice or rats? This repellent is famous for dealing with mice, but it’ll work on rats too, as their nervous systems are pretty similar. The mice problem is well-known to American and Canadian farmers, and Fresh Cab rodent repellent tractor supply has been their answer to it. 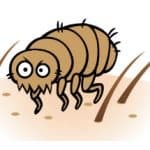 Even if your farm is uninfested, an all-natural repellent like this is the best method of rodent infestation prevention. 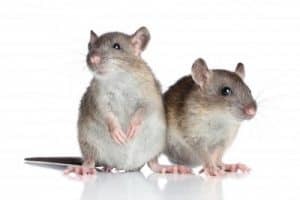 As for the rats, they intend to live in urban areas more often, so it’s also natural to use these toxic-free pouches in closed spaces like apartment houses and private mansions. As rats are more abundant and stronger rodents, I’d advise buying Fresh Cab botanical rodent repellent 16 scent pouches pack and place them on every 10 to 20 square meters. 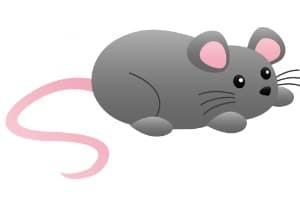 The rats are more skillful in avoiding the pouches so it may require some strategy concerning where to put them so that the smell could mess up the usual rats’ tracks. Which are the best spots for placing Fresh Cab repellent? The repellent works better in enclosed areas so I’d recommend placing one pouch per a small room, closet, storage or vehicle. Try to remember where you saw the rodents for the last time and place at least one pouch there. It’s quite efficient to place them near the entry points as you get to cover the space of two rooms with it. Bathrooms are also good strategic points, just be sure the pouches won’t get damaged by humidity there. 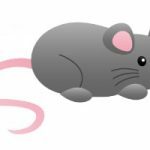 Look into Fresh Cab rodent repellent instruction provided by EarthKind to learn more on the placing for your particular house. Where can I buy Fresh Cab rodent repellent? As I already mentioned, Fresh Cab is available online and offline alike. Big chain stores like Walmart, Ace Hardware, Lowes usually have it, but Amazon and eBay often offer it for a reduced price. And if you need a lot of those pouches, EarthKind official page has great offers for wholesale clients. Probably, it can be found even in the closest hardware store to your home, but it’s better to buy from official retailers to get yourself a full customer support. As for where to buy Fresh Cab rodent repellent in Canada, there are many Walmarts there too that have a lot of the US products. Besides, Amazon delivery is as good in Canada as in the US.